By Exceptional Software Solutions, LLC. Once manufacturing companies have production lines running at full capacity, hundreds to thousands of products can be created during the workday. Yet those long production runs can come to a screeching halt due to malfunctioning machinery. This problem leaves supervisors in a bind as they are scrambling to organize paper work orders to get a technician out on the facility floor. Who is the right worker for the maintenance service job, and are they available for this shift? Meet our friends at MSI Data who can help. 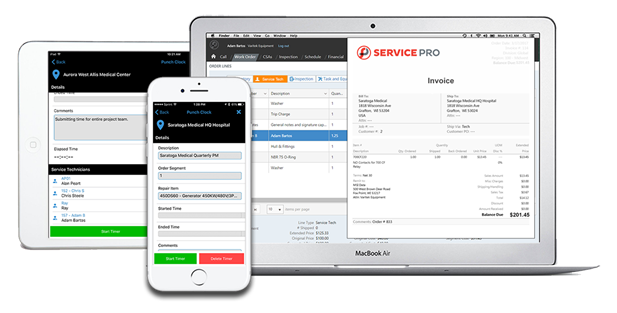 They make ServicePro© Software, an enterprise application for automated field service management. In this two-part series, we walk you through their amazing solutions that can extend your Macola ERP capabilities — and results! 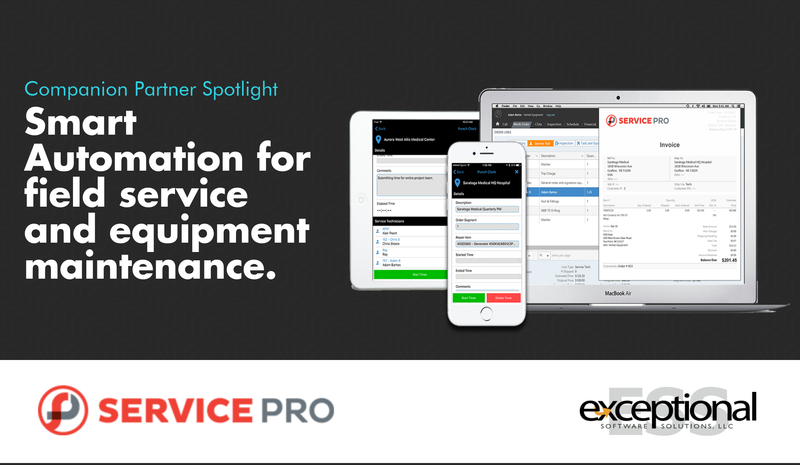 Service Pro provides manufacturers, distributors and other asset-intensive service enterprises with the cloud application they need to translate IoT-connected machine health and maintenance data into field service. MSI Data changes the maintenance service field by automating all these services with their mobile solutions. Able to fully integrate with Macola 10 ERP, MSI Data’s ServicePro© is a manufacturing service and repair software designed for SMB manufacturers and distributors so they can turn their maintenance technicians into a mobile workforce. A workforce who can schedule maintenance tasks, update spare parts inventory, obtain instant maintenance change orders, perform inspections and do other tasks whether they are in the office or out in the field. Technicians are carrying parts, tools and everything else they need to complete the job. Carrying around paper documents becomes aggravating as the paperwork gets shuffled about on office desks or vehicle dashboards if technicians have to travel to the job. ServicePro©’s work order management software allows the technician to pull up the service repair information right on their mobile smartphone, laptop or tablet device. They can read the location, order number and work type that must be performed. The technicians can update the order information to detail the work they provided, parts that were used, and any follow-up repair details. Then they can instantly send this information to the office so that the supervisor can review service performance. The software allows real-time data sharing that can be used to improve repair and maintenance services provided by the technicians as well as monitor inventory levels of spare parts so you can order more when supplies run low. Every technician has a particular skillset that makes them an expert regarding certain types of machinery and tools. MSI Data provides an assignment board where you can evaluate technicians based on these skills by using an auto sort function. Once you find the right technician to complete the job, you can then drag and drop work orders into each technician’s specific work board. An automated alert is sent immediately to the technician’s mobile device to tell them about the pending work order that needs completed. You may already have a technician in a specific part of the manufacturing facility when another mechanical emergency arises. 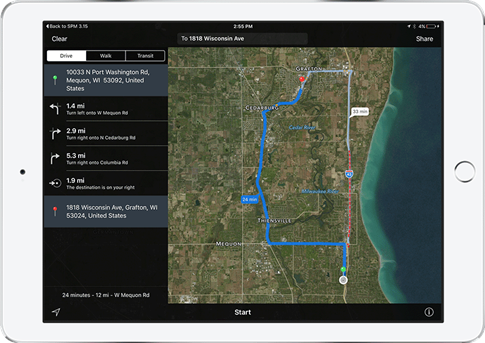 The visual schedule display offered by MSI Data has GPS tracking software integrated into the system as you know where technicians are by viewing the available map. Check technician’s work status at the specified location to see how much time they will spend at the worksite. · Pull up maintenance order statuses on the same screen as you can better decide which worker should do the tasks based on location. · Arrange work orders into specific categories based on the technician’s availability. In addition, knowing where workers are can allow the supervisor to increase the level of service that his technicians offer based on how long the worker is at a particular jobsite. They can determine if the work is taking the technician too long to complete on their own, as they can see if there are any additional technicians nearby that could provide additional assistance. MSI Data’s ServicePro© makes the maintenance tasks easier for supervisors so that they can efficiently move their technician workforce to the right locations and send only those employees who are best for the job. Yet this is way more to this integrated software than just maintenance scheduling and creating digital work orders that can be used on mobile devices. Stay tuned for our next installment that will talk about how MSI Data’s ServicePro © software Macola 10.6 can help improve inventory management for maintenance departments by offering spare parts ordering management as well as providing key benefits when performing regular equipment inspections. For more information about ESS LLC visit us at esoftsol.net. Exceptional Software Solutions LLC is an ERP software solution provider of Exact products and Macola Software, serving SMB manufacturers & distributors across the U.S. and Canada. The firm sells, services and trains customers on each ERP and CRM product line offered by Exact and Macola Software including Macola 10, Macola ES, Exact Globe Next, Exact Synergy and companion solutions. No matter how unique or intricate your company’s ERP processes or desired workflows are, Exceptional Software Solutions LLC’s team of professionals are here to guide you every step of the way. Learn more about us from our customers. Copyright 2018 Exceptional Software Solutions, LLC.